Leads are the qualified prospects who can become customers and ambassadors of your brand if you play your cards right. We generate quality leads for a number of different verticals. 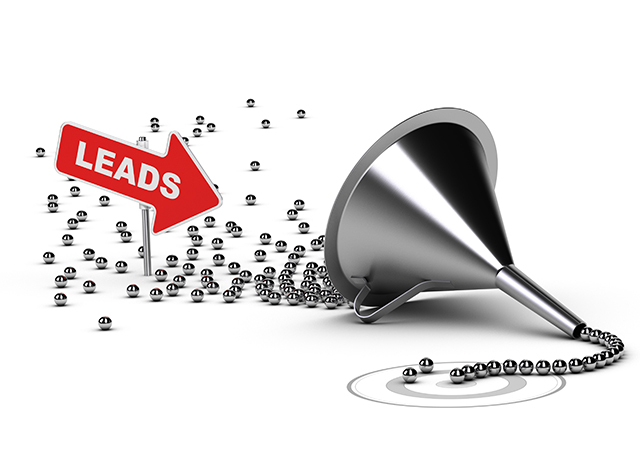 Our leads are generated organically from websites, social media, email marketing campaigns, and call centers. Our lead generation campaigns have a superior cost-per-acquisition that drives repeat sales. Decrease your cost per deal and increase your ROI! For over a decade, CSI has provided valuable leads to the education, financial services, mortgage, real estate, debt settlement, and merchant cash advance verticals. Our clients have ranged from tremendous institutions like Grand Canyon University and Northcentral University, to debt and tax repair and settlement companies like Credit Solutions. We have the ability to deliver national or geo-targeted campaigns that can help businesses in a variety of industries achieve instant revenue growth. Our proprietary RubyGold technology combines content rich websites with direct email campaigns, and an internal telemarketing center. Our leads are generated organically, not through a co-reg path, and they are call verified to ensure some of the highest contact and conversion rates in the industry. Because of this approach our leads have higher contact rates, higher conversion rates, and ultimately lead to a more favorable cost-per-acquisition (CPA) than our competitors. I highly recommend Center Street to anyone looking to grow their business. The amount of traffic we have gained is off the charts. Benjamin is a great business partner and truly an expert in the field of lead generation. We worked together for several years and he always delivered qualified, quality leads for online programs that converted above national averages. Benjamin helped us to grow enrollment by 22% over a 5 year period, increasing tuition revenue by over $3.5M. Always positive and one of high energy, I HIGHLY recommend Benjamin for any services you might need in higher education. Jim Bagwell. Dirctor of Admissions, Canisius College. Very involved with direct hands on service, and quick responses. We appreciate the creativity and great attention to detail. Working with Benjamin and CSI has been a very positive experience. Richard Buckman. President, Long Island Recovery Association. Benjamin is a marketing professional that has always delivered good results when we’ve worked together. He is a reliable and dependable individual who can be counted on. He makes sure he understands the client wants, needs and requirements in order to deliver accordingly. Bruce Bortle. President, Aqua Interactive Media. Benjamin has a great depth of experience and knowledge in online marketing...He is a "go-getter" with a sharp attention to detail, and takes the time to understand a problem and situation and look for all potential solutions before making suggestions.